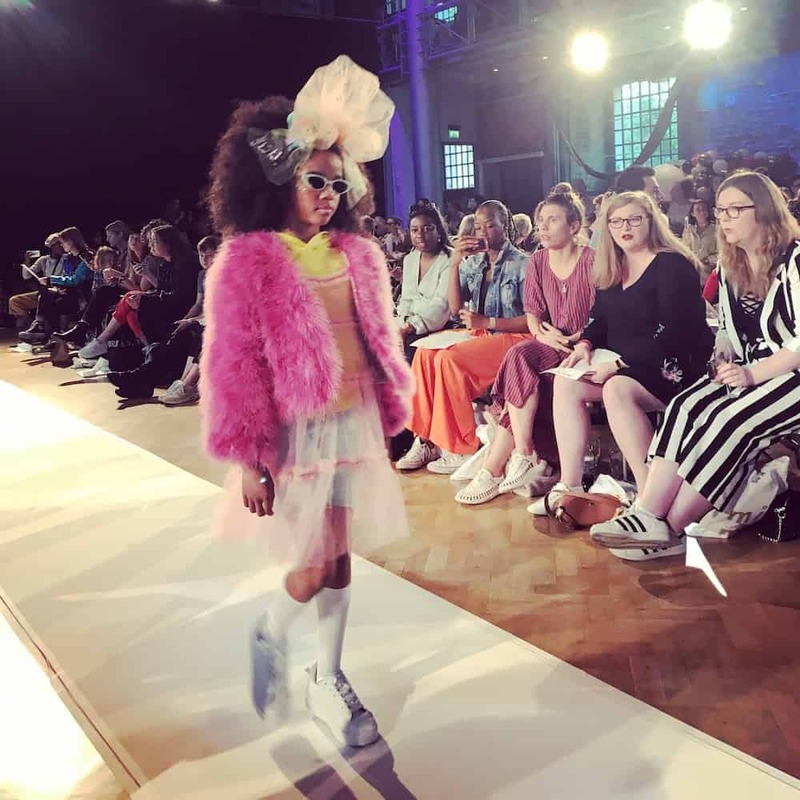 Pirouette recently attended Mini Mode’s second edition of their multi-brand runway show in London. Like the first show earlier in the year both have taken place at the same time as London’s Fashion Week essentially piggybacking the grownup’s party. The show wasn’t without it’s difficulties and we may even question whether London needs such a show after most buyers have already closed their books. 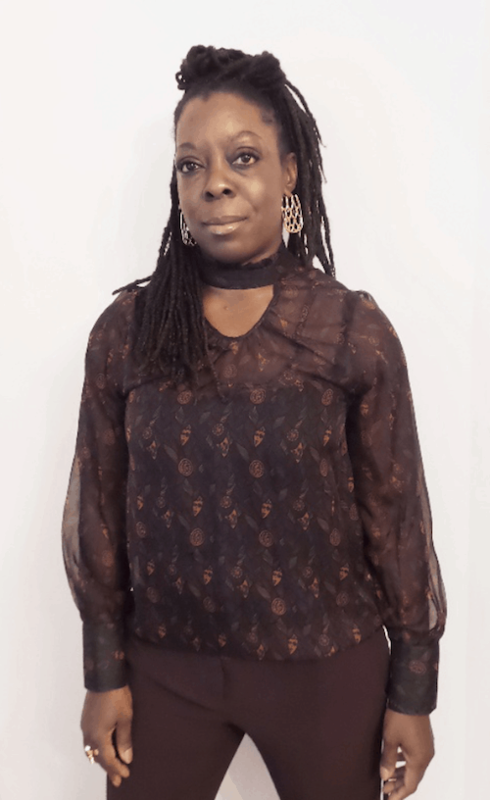 But maybe it’s about more than that, we speak with organiser and founder Amanda Rabor to discover how this second edition went, what her vision is for the show, and what she makes of the current UK childrenswear market . A: yeah yeah please do. K: Firstly, can you tell me about Mini Mode and your vision? 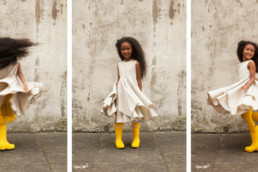 A: Mini Mode is a celebration of children and children’s fashion. To have something specific for industry in the UK which is different than a trade show. Mini Mode is a fashion runway show not a trade show but we try to bring in valuable elements. Bringing buyers, press, bloggers, and industry individuals together. It’s hard for brands to get the word out when there are so many brands in the world. The brands showing with Mini Mode have something special and I just want to get that out there into the world. My enthusiasm stems from me being a designer but I’m also passionate about inclusivity, about children and empowering them to create something for the next generation. K. Why do you think it’s important to have a children’s fashion show during London Fashion week? A: Why not have something in the fashion show calendar that includes children and the children’s fashion industry. When you think of the kid’s industry it’s a huge multi-billion dollar industry so it doesn’t make any sense that we don’t have anything representing children during London fashion week. A: …We offer brand awareness. Brand awareness is so important, it’s everything. Even though we are outside the financial budget in terms of the children’s industry, people can still short order and some brands do this. The bigger picture for the show is the brand awareness, we did 2 shows: a show for industry, and one for consumers. There is a difference between the industry show which is future season, and the consumer show which is see now, buy now. K: What’s your opinion on the children’s fashion market particularly the UK at the moment? A: I think we’re going through quite a difficult time. 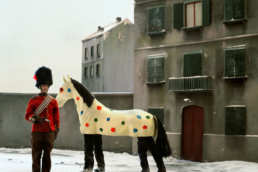 When I traveled to Florence to Pitti Bimbo to see and talk to Brands, and to encourage them to come to the UK to take part in the show, the feeling was ‘there’s nothing for us in the UK’. This is the brands saying this. But what I tried to tell them was that you have consumers in the UK. Labels need brand awareness to get to the end consumer. People see the brands that they love through Instagram but they don’t get to see the collections in person. I’m trying to encourage them to come to the UK to introduce their collections in situ to the end consumer. K: So you’re saying that by brands taking part in the consumer show they can build a following of consumers in the UK directly? 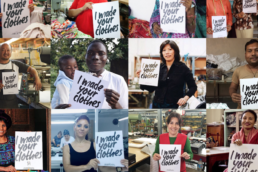 A: Or from the people who sell their clothes, it works on multiple levels. K: This was your second show, how did it go? A: You know it was a lot bigger than the first show. We had a lot more designers. The first show was really to show myself and people that I could do it. Putting on a children’s runway show was a bit left field and a big endeavour. 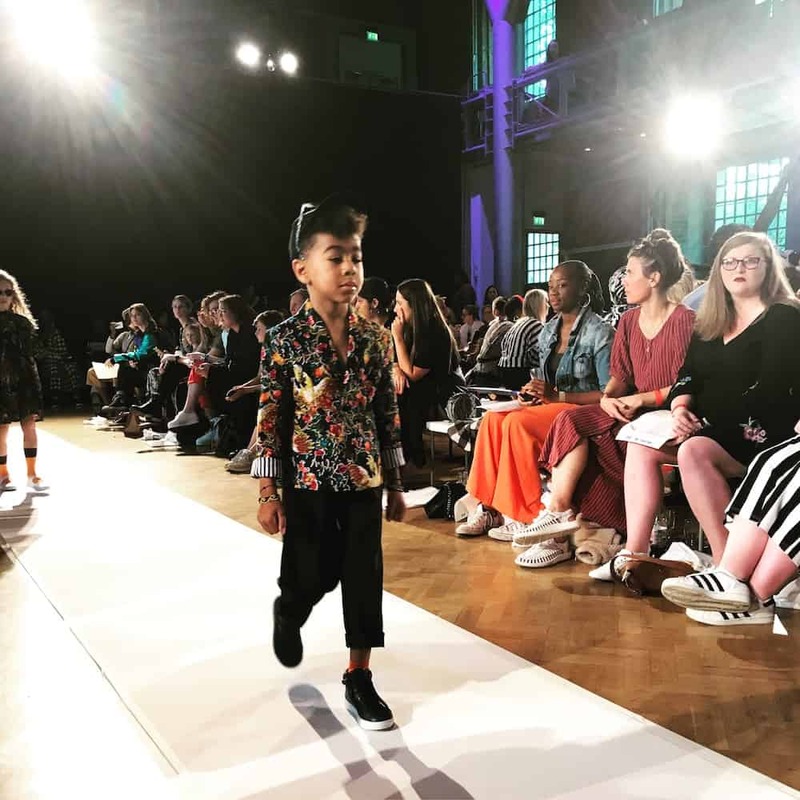 The second was about trying to show that we can do it from season to season, show great designers, put on a great show, and make Mini Mode something special that’s going to be part of the kid’s fashion industry calendar. A: …In total I think it was 28 brands. K: … 28 brands, how many looks? A: Different brands had a different number of looks. For example we collaborated with Dot to Dot London selecting 3 brands to show a limited number of looks. I also love graduates so we had a graduate section showcasing their work. So that brought up the numbers, but really emerging designers 6 looks and established (designers) 10 per designer. K: That’s quite a lot of brands for a multi brand children’s runway show, how was the second show logistically? A: It was a nightmare. Everything wasn’t perfect, looking forward I’m going to work on the back of house and the team. K: That leads onto my next question, moving forward what are your plans for Mini Mode? A: The plans for next time. I am going to need to get some funding. Mini Mode is self funded but it’s at the stage where it needs a little bit of extra cash to spend on development. It’s important to get this right. The Venue is really important and is obviously a huge part of the budget. But moving forwards I’ve found a venue in Marylebone, a lot more affordable and it’s bigger believe it or not. I’m going to take it (the show) to 2 days which is another way forward. K: What’s the reasoning behind making it 2 days? A: Having two days, one day for industry. We’ve been approached by brands to produce solo shows. Then the following day we can cater for the consumer show. Which hopefully takes the pressure off everybody who’s working. I want it to be (spread) over 2 days as a minimum to move forward, then we can grow into a week, London Kid’s Fashion Week! K: Obviously Mini Mode takes place during London Fashion Week but are you affiliated? A: No we’re not affiliated with London Fashion Week . We tried reaching out but they’re not interested, they don’t do kidswear. 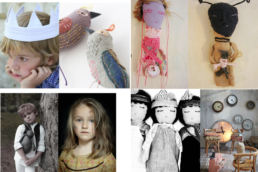 So we are creating London Kid’s Fashion Week. K: Well thanks for chatting with me Amanda, you must be ready to put your feet up? A: Thank you. I’m going away next week and I’m looking forward to some downtime but I just had a meeting with two lovely people from India who came over and we’re going to connect. We live in a global world, people love what Mini Mode is doing.